Make certain that your house number is well lit for safety and practicality. Guests arriving after dark will appreciate knowing which house is yours. A simple spot light on your number or a down-lite is plenty to accomplish this. Lead guests to the front door or along sidewalks and paths with path lights set along the walkway. Choose soft-light fixtures that direct most of the light downward. 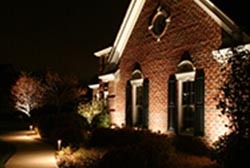 Lighting sidewalks and pathways will increase the safety of your property as well. Ensure safe footing on steps between outdoor living areas by using down-lighting or foot lighting to easily show stair depth. Spot lights on the exterior of your home will also add indirect light to these areas, making them easier to transgress. These three elements are essentials to consider when lighting your front walk, sidewalk and front porch. 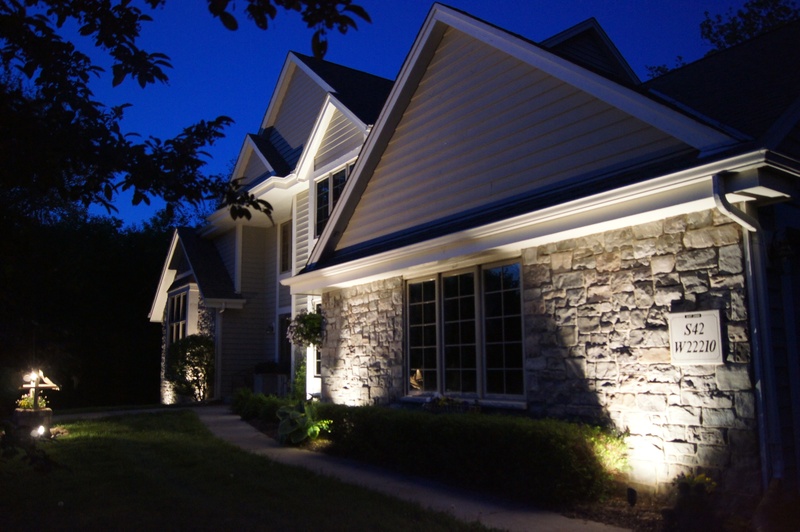 For more expert advice on outdoor lighting installation in Madison, Milwaukee, Appleton, Green Bay, Wisconsin, contact us and we'll walk you through the entire process and answer any quesions you have.